Former Armagh forward Oisin McConville believes that his All-Ireland winning team-mate Aidan O’Rourke can “take Roscommon to the next level”. O’Rourke was due to be unveiled as Kevin McStay’s successor, subject to ratification, at Monday night’s meeting of Roscommon County Board. The 2002 All-Ireland winner and All-Star with the Orchard County met with county board officials last weekend to finalise the deal after being interviewed last week. The appointment comes nearly seven weeks after Kevin McStay stepped down on September 5th. “He thinks a lot about the game. Even when you were playing with him, you see that he was destined to become a manager. 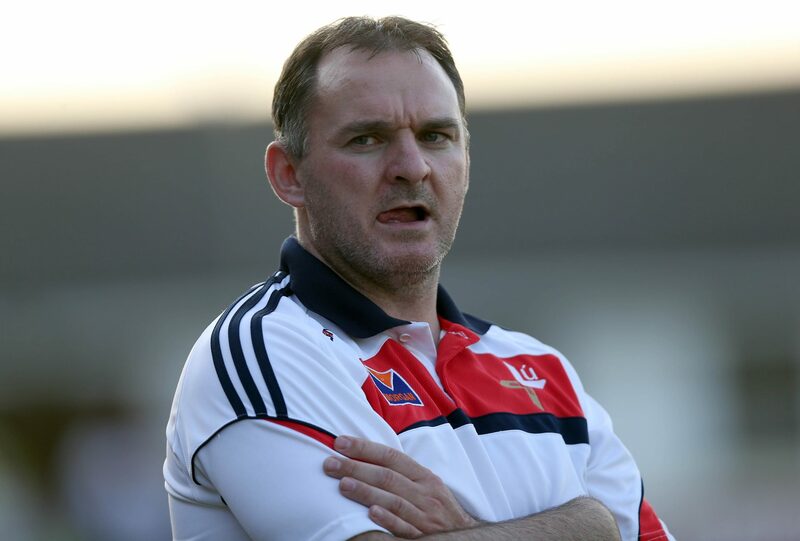 “He has gained experience with Geezer (Kieran McGeeney) in Kildare and Armagh. I know from talking to some of the players in Louth where he managed that it was a very professional set-up. He knows what it takes to make players tick. He would have a better understanding of them than most managers I know,” McConville told the Herald on Monday (yesterday). Details of O’Rourke’s backroom team have yet to be finalised, although it is expected that highly rated strength and conditioning coach Mike McGurn will be part of the set-up. O’Rourke penned a number of thought-provoking columns for RTE during the All-Ireland football championship this summer, and McConville expects him to hit the ground running over the coming weeks. “He knows it’s a results based business. He’ll know that he has to find a way of marrying Roscommon’s potential going forward with sound defensive structures. Overall, I would say he is defensively-minded. “He’ll need to find someone on the ground in Roscommon who he can build up trust with very quickly — maybe a young coach who he can pass on the baton to in a few years’ time. “He’s coming into a county with a decent base. I was disappointed that Roscommon’s momentum stalled in the Super 8s. I expected more but I still think they’re a force to be reckoned with in Connacht,” he concluded.